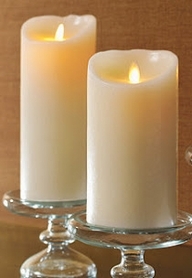 This amazing ceramic candle lantern is perfect for that touch of metallic shine in your tabletops. It's so beautiful to see the light that flickers around the cut-outs of the lantern, they make a beautiful pattern! 5" x 5" x 13.25" tall. 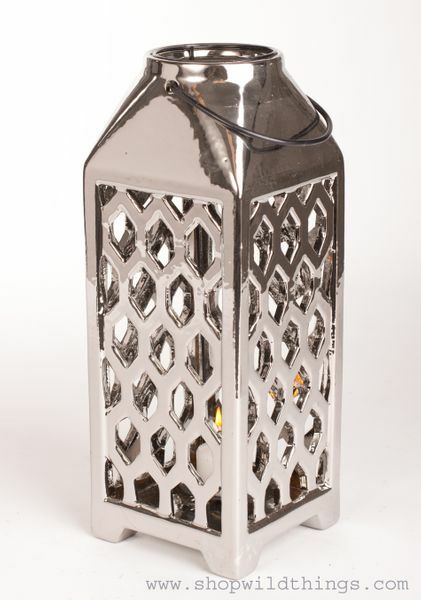 This lantern has a black metal "drop in" candle holder that measures 2.25" in diameter.